In the past five years Norway has given its architectural infrastructure a massive boost! Hopefully - we’ve all familiarized ourselves with their famed tourist rest stops, still in progress. 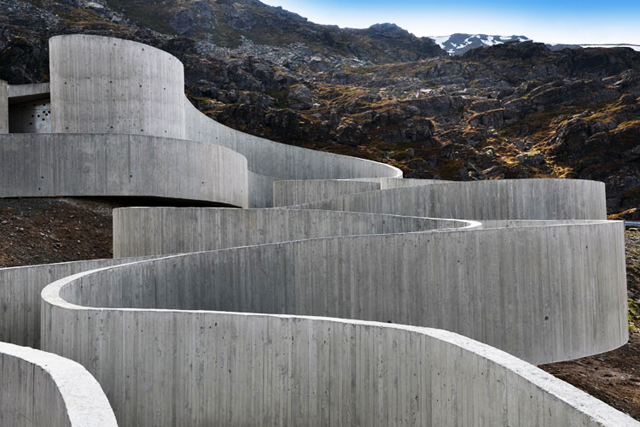 The most recent development has been the curvy new Havoysund rest stop designed by Reiulf Ramstad. Reiulf Ramstad are no strangers to the rest stop development, previously building two other rest stops for the project, the National Tourist Route Trollstigenand Norwegian Mountaineering Center. 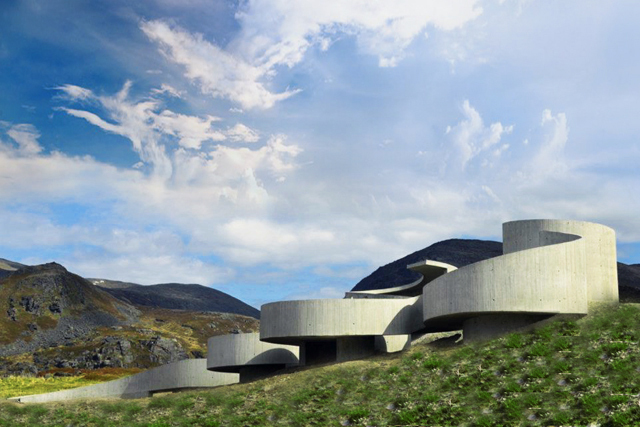 The Havoysund rest stop was designed to enhance the walk from the roadway to the Arctic Ocean’s Coastline with its snake-like architecture. 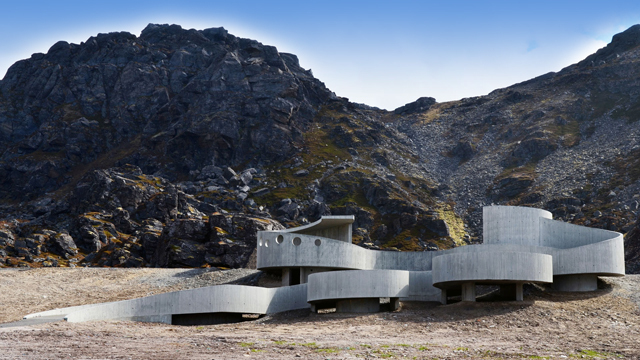 This concrete rest stop functions both as a tourist site for those traveling Norway’s beautiful countryside and as a place where the people of Havoysund can go to enjoy a nice picnic. The rest stop now features a barbecue area on the beach which is rumored to be a summer hit with the locals! The team at Ramstad explained that the rest stop is, “located in the extreme north of Norway, in a landscape almost lunar in its barren and inhospitable beauty, the facility should ideally be completely self-sustainable in terms of power input and waste output,” needing little to no maintenance. Ramstad designed the facility to be accessible for all. The long, winding ramp allows passage for pedestrians, cyclists, and wheelchairs, to be enjoyed by everyone.